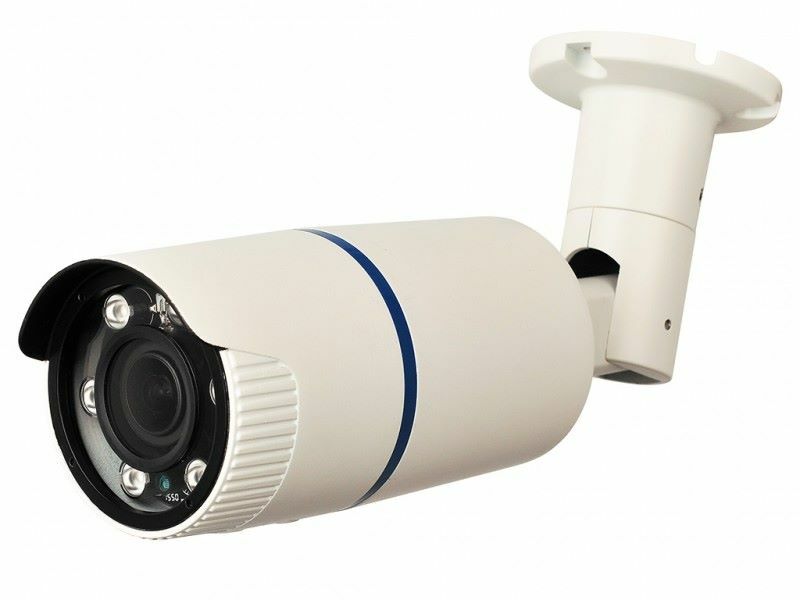 The IRB2M06HVFZ-MHD infrared bullet camera has a motorized 2.8-12mm zoom lens with 1080p image quality.The multi-format output design allows the camera to be used with TVI, AHD or standard analog DVRs. Finding just the right field of view or adjusting any of the OSD image settings has never been easier due to the COC (control over coax) feature which functions through your existing camera cable. The motorized lens auto focus feature makes zooming in and out easy without having to focus but if you feel the need to fine tune manual focus is also available. The day/night feature provides full color images in daytime then switches to B/W at night with IR assisted illumination to maintain image quality. The camera's 6 Super infrared LEDs can illuminate objects up to 170 ft. in complete darkness. The OSD menu allows for a number of image adjustments and settings. The adjustable cable management bracket makes mounting quick and easy and the IP66 weatherproof rated housing makes this camera perfect for use indoor or outdoor use.